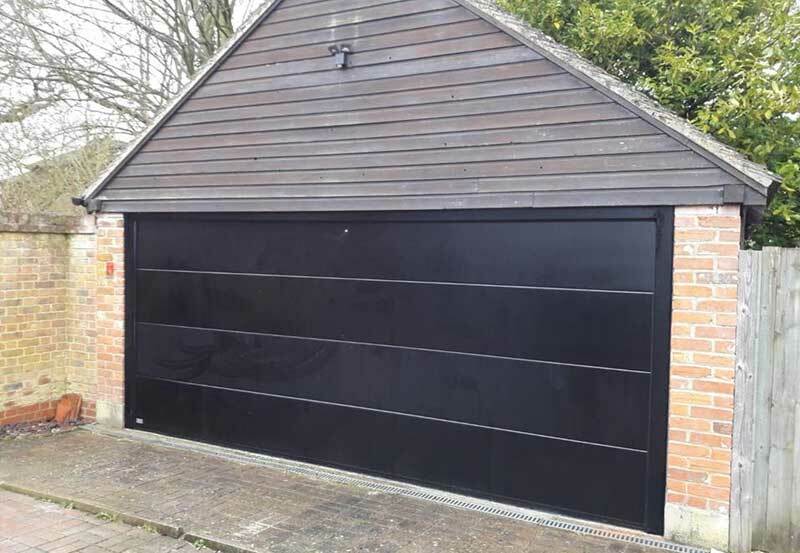 We recently supplied and installed this SeceuroGlide Double Electric Sectional Garage Door for a customer in Wantage, Oxfordshire. The large sections on this door, combined with the black gloss finish, create the really striking look that the customer was after. If you’re considering a new garage door, remember that all Seceuroglide Garage Doors now come with a 7 year warranty!